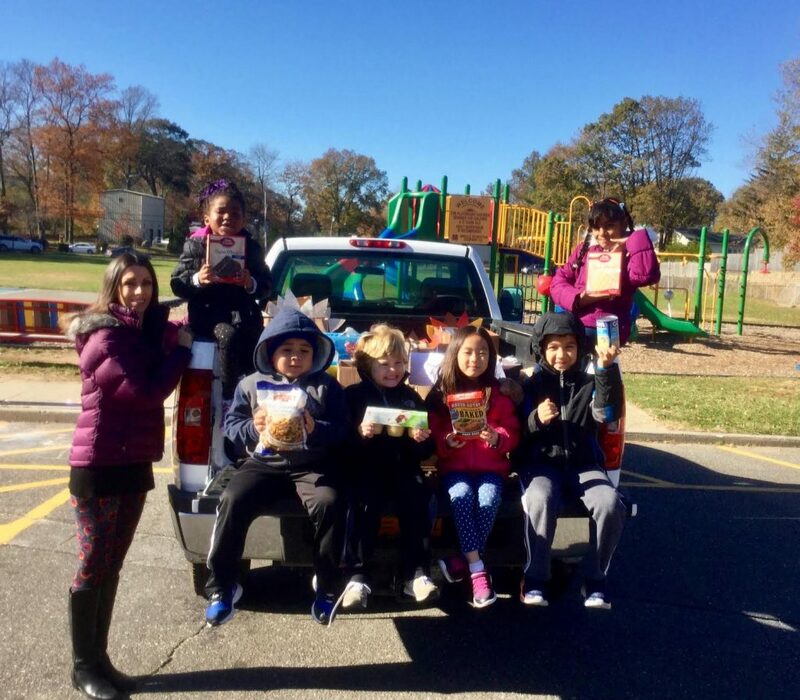 Students at Gribbin Elementary School collected nonperishable food items to support local community members this Thanksgiving. The students, their families and staff members donated traditional Thanksgiving meal items, which were transported to St. Rocco’s Church in Glen Cove to assist with its food drive. Schools within the Glen Cove District joined other local community organizations to collect food for St. Rocco’s. Complete dinners will be distributed to families in Glen Cove prior to the Thanksgiving holiday. Photo Caption: Gribbin School social worker Kristin Brosnan is pictured with students (l-r): Londyn Burton, Jairo Hernandez Medrano, Ryan Huggins, Alice Chun, Axel Aguilar and Nishka Baboolal.